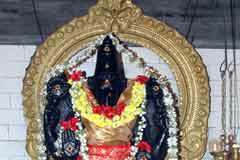 Mahashivarathri in Masi (February-March), Margazhi Tiruvadhirai (December-January), Panguni Uthiram in March-April, Tirutarthikai in November-December are the festivals celebrated in the temple. 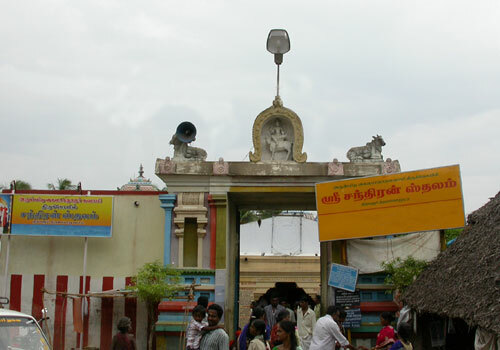 Thingalur Kailasanathar temple is noted for the importance of first rice feeding of the infant child known as Anna Prasanam. Sri Kailasanathar Temple, Thingalur, Thanjavur. 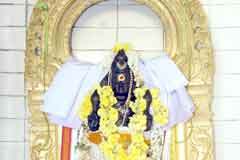 Devotees contribute for temple renovation and maintenance, perform abishek and offer vastras to Lord and Mother. 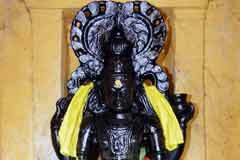 This function is celebrated by people on Ashwini, Mrigasheersha, Uthiram, Swati, Tiruvonam, Sadayam and Revathi star days during the Chandra Hora time ( Horas are specific times each day showing good and bad times – Chandra Hora is one of the best time in the day). Before feeding the child with rice (Annaprasana) the child is shown the moon and a cow, thus bringing the blessings of Jaladevadha (water God) and Oushadhi Devadha (God of medicines). 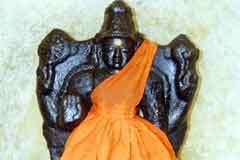 It is believed that Jaladevadha would protect the child from cold, fever etc. 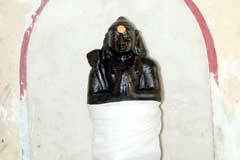 and even if it so happens it would be cured by the Oushadhi Devatha. It should be understood that showing the moon to the child while feeding is not simply to make the child cheerful and eat but there is a spiritual aspect too. He did not perform penance. He did not worship even Lord Shiva. 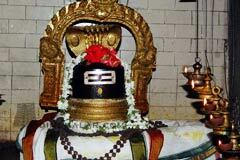 He had in his mind only the great Shiva devotee Sage Tirunavukkarasar. For him everything was Tirunavukkarasar alone. 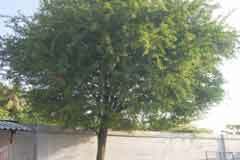 He named his eldest son Senior Tinavukkarasu, younger son Junior Tirunavukkarasau and every charity institution he established was named after the sage. In his decisive opinion, serving a devotee means serving God, a truth approved by God Himself. 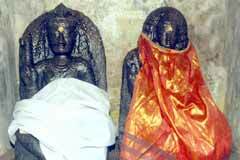 Appudhi Adigal and members of his family have special respect in the temple with their statues installed. Once when Adigals’s son was bitten by a snake, Tirunavukkarasar brought the boy back to life with his “Ondru Kolam” Thevaram. Celebrated poet Sekkizhar tells the story of Appudhi Adigal in 46 verses in Peria Puranam. 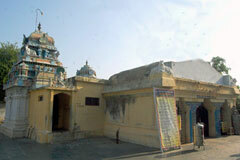 Thingalur is 4 km from Tiruvaiyaru on the Kumbakonam road. Hotel Lion City: +91-4362-275 650, 275 926-7.